Mixer Grinders are an essential kitchen tools that are needed ofr every household to carry out the daily cooking tasks. 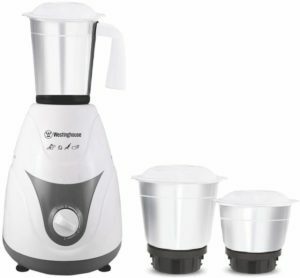 Here is a deal for you offered by Flipkart in the Big Billion Days where you can get Mixer Grinders from brands like Westinghouse & Usha at 65% off. These are really a steal prices also taking into consideration of the ratings and reviews. Get ready to make these mixer grinders yours ! How to buy Mixer Grinders at 65% off ?